Don’t let your communications system hold you back. PBX systems once provided top-of-the-line business communications, but they weren’t designed to accommodate business growth and change. And cloud-based platforms have altered the landscape of business communications. Your PBX isn’t just an inconvenience, it could hurt your business. 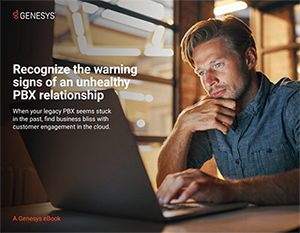 This eBook covers common problems associated with PBX systems as well as their impact on your business. Learn to identify signs of trouble in your business communications as well as key features to look for in a new system. Don’t let a fear of the unknown hold you back.